Press the tuna steak into the sesame seeds to coat. Fry the tuna steak for 2 minutes per side. 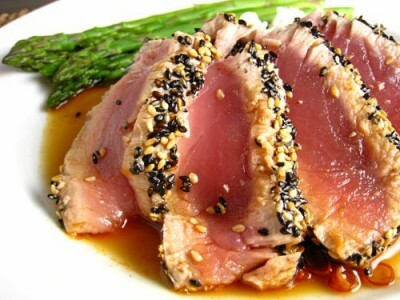 Serve the sesame crusted tuna on rice with some orange teriyaki sauce and some asparagus on the side.